WASHINGTON — THE JOB of inspector general is often a thankless one, requiring the ability to make unflinching and crucial assessments that are not always well received by colleagues. The Justice Department employed one of the best for the past decade in the person of Glenn A. Fine, who recently stepped down. Mr. Fine was instrumental in unearthing problems and identifying solutions in the mammoth agency since joining the IG’s office in the mid-1990s. 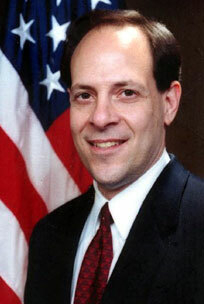 He took over the reins in 2000 and led investigations into all facets of the department’s operations. He documented the FBI’s early abuse of national security letters – powerful tools issued without judicial review and used to obtain information from individuals and corporations alike. He later produced an authoritative review lauding FBI leaders for significant improvements. This latter report was credible in part because Mr. Fine did not pull punches in his original criticism. Posted: 2/13/11 at 10:00 PM under FBI, News Story.